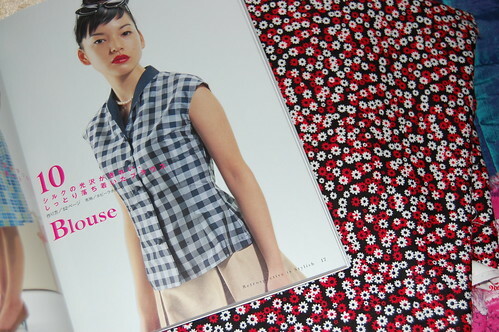 Japanese sewing books, originally uploaded by indiaeden. These gorgeous books arrived this morning from Japan. 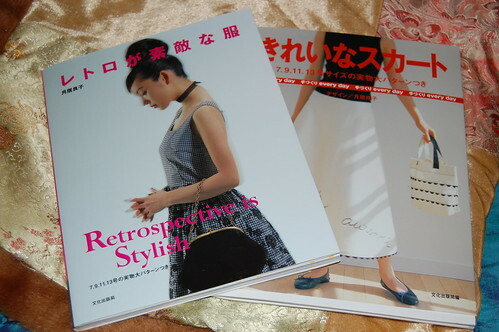 I've been admiring Japanese sewing books for a while. Most of the ones I'd seen until recently featured understated simplicity,with beautiful detailing,but all styles I couldn't wear with my curves in a million years. I spotted these a couple of weeks ago here,and simply had to have them. i think I love everything in them,and have even already started making this blouse.